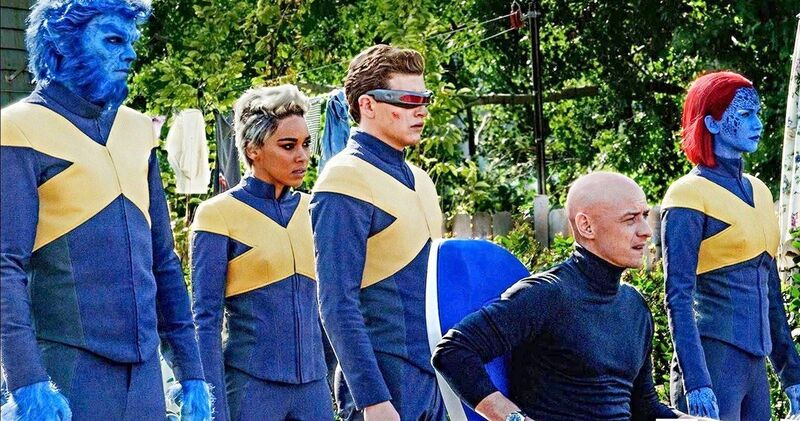 Fox has done some major shifting with their release calendar, causing delays for a couple of key X-Men projects that are coming down the pipeline. For starters, Dark Phoenix, which finally debuted its first trailer, has been delayed yet again to June 7, 2019. It had previously been dated for February 14 of next year, after getting bumped out of its original November 2018 date. This should give the studio time to polish everything up following the reshoots that are currently ongoing. A summer release date seems more fitting for something such as Dark Phoenix anyway, which could very well be the last main X-Men movie of the Fox era, with the Disney merger looming. However, it won’t be the last X-Men-related project to be released prior to Marvel Studios absorbing the mutant characters. Fox has also shifted Gambit yet again, which had previously occupied the new Dark Phoenix date. The studio is now hoping to release the spin-off, which will star Channing Tatum as the fan-favorite Cajun mutant, on March 13, 2020. Producer Simon Kinberg recently provided an update on the movie, stating it will be a romantic comedy. Currently, no director is attached and if they can’t get cameras rolling before summer 2019, the movie may not happen at all. In its new date, Dark Phoenix will square off against The Secret Life of Pets 2, which could make for some stiff competition, given how well the first movie performed. Gambit is currently the only blockbuster tentpole slated for March 13, 2020, but that’s likely to change between now and then. For the time being, nobody has any real reason to view that project as competition, as it’s been stuck in development hell for years and the odds of it actually getting made don’t seem great. Another important shift Fox made was bumping Alita: Battle Angel back. The Robert Rodriguez blockbuster, which is produced by James Cameron, will now take the February 14, 2019, date previously occupied by Dark Phoenix, as opposed to opening on the crowded December 21 date it has now. That’s important because Fox now has the previous Alita: Battle Angel date free, crowded as it may be, with Bumblebee, Aquaman, Holmes and Watson and Welcome to Marwen all scheduled to open on that date. So what will Fox do with that date now? According to this new report, they’re going to release a PG-13 version of Deadpool 2, which was very much R-rated. It’s an interesting way to try and further cash in on the very popular sequel, but one that seems to go against the idea of what the movie is in the first place. For now, we’re left with more questions than answers with that one. But why not give it a shot? Fox has literally nothing to lose and, even though that release date is already crowded, any money they could possibly make from a PG-13 version would be icing on the cake at this point. This news was previously reported by Deadline.